- We didn't even make it to the first date. He just immediately texted me a d*ck pic. - I wish I could be matched with a loser...I don't even get that far in online dating! Let's face it. Modern dating is confusing as hell. But we don't think it has to be that way. We believe we can create a new culture around modern dating...together. The more we talk about our experiences with a Brene Brown-approved level of vulnerability, troubleshoot where we're going wrong, and Iyanla Vanzant-style "do the work" to engage in healthier relationships, we can experience more confidence and clarity in our approach to dating. At least that's why we started We Date Modern. Listen to the first podcast episode here for the details on how we got started and why the conversation around modern dating is so important. We're here for you. So grab your strategies for the struggle, subscribe to the podcast and join our online community. We want to hear your stories and come alongside you on the crazy ride toward love. Chanel's clients say she brings clarity to chaos with the way she puts language to the whirl of thoughts and feelings running through their heads. And she does it all with unwavering optimism because she truly believes every woman has the potential to live an incredible life. Chanel is a certified Paterson Center lifeplanner, and is trained in marriage and family therapy. 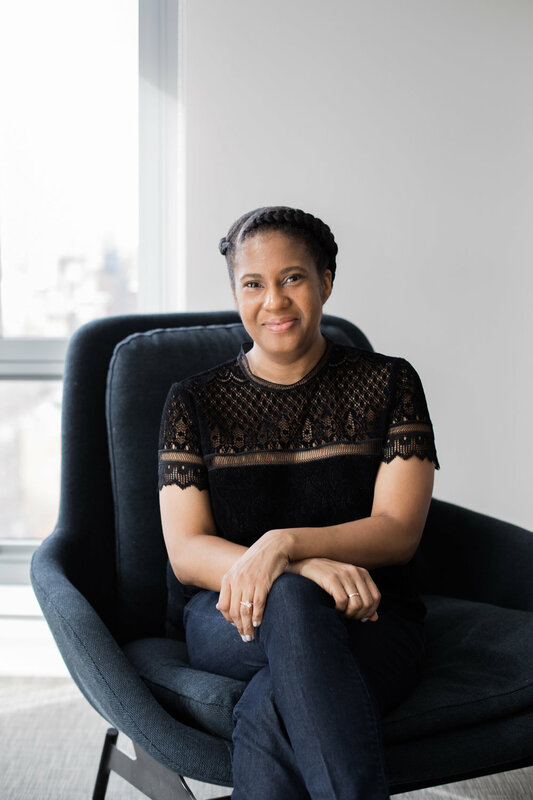 With a background in publishing, she is a frequent contributor to media outlets like Relevant Magazine and PureWow on topics of dating, marriage and living out your god-given calling. She is passionate about empowering individuals and couples to stop living a pretty good life, and start living a great life--the kind of life that overflows with purpose, fulfillment and deep satisfaction. Chanel is also the mother to the cutest little boy of all time (fact) and the wife to a rockstar psychiatrist who is saving the world one mind at a time. When she's not talking about dating, you'll find her sitting at a coffeeshop nursing a decaf almond caramel macchiato or out on the streets of Brooklyn chasing her toddler. Rasheeda is a visionary creative who thrives at the intersection of storytelling, entertainment and community. Those closest to Rasheeda could probably describe her in six words: big personality, big dimples, big heart. With over a decade of news and entertainment production experience in radio, television, and digital content and once featured as Ebony Magazine’s “Black, Fresh and Twenty-Something” she has established herself as a leader in this fast paced and ever-changing world of media. Throughout her career, she's covered a plethora of assignments for major television networks including NBCUniversal, worked on short and long form productions, and has collaborated with talent across the creative industries. Most recently, she was featured in a documentary film about modern dating called "The Dating Project." Rasheeda is ("extra") Single and if you love Jesus, she's ready to mingle. When she's not going out on dates, you may find Rasheeda sipping on a matcha green tea latte in a cafe, geeking out to the latest superhero blockbuster at the theater (#TeamMarvel) or nurturing her culinary ambitions.